Morning sunlight plays on birds and windswept waves. 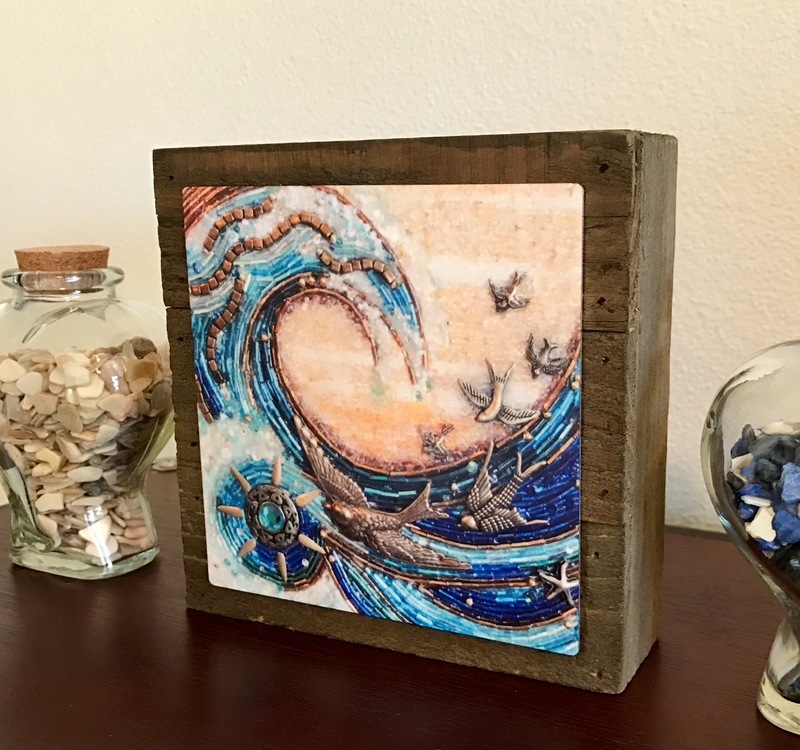 This ocean-themed, 6″ x 6″ x 2″ deep rustic wood art block has a metal print of SunSwept, an original beaded mosaic by Diana Maus. Ready to hang or stand on its own. Sorry, this item is sold. Please come and see my other beaded mosaics at MyMosaicMoods on Etsy.